Trigger Finger and Trigger Thumb, medically termed Stenosing Tenosynovitis, are common hand conditions. This condition occurs when the tendons in the thumb and fingers do not glide smoothly. Tendons are strong tissues that connect our muscles to our bones. Trigger Finger and Trigger Thumb causes the tendons to catch or get stuck when the fingers or thumb bend. This condition makes it difficult to straighten the fingers and thumb back out. It can also cause pain, discomfort, and swelling. Trigger Finger can occur in one or more fingers or the thumb at the same time, or it may occur in different fingers with or without thumb involvement at different times. We have tendons that attach to our thumb and finger bones. 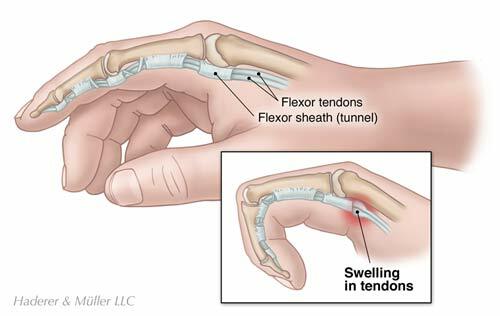 The tendons pass through a tunnel, called a tendon sheath, and connect to the muscles from our forearm. These muscles allow our fingers and thumb to straighten or extend, such as when our hand is placed flat on a table. Normally, our tendons glide smoothly through the tendon sheath allowing for smooth and easy movements. However, tendons can have difficulty fitting through the tendon sheath if they are swollen or develop a nodule, a small round mass. The tendon sheath may also swell from irritation, creating a smaller opening for the tendons to fit through. When the tendon gets stuck in the tendon sheath it can cause pain, swelling, and a popping or catching feeling. Your finger or thumb may become stuck in one position and may be difficult to bend or straighten. The cause of Trigger Finger and Trigger Thumb is not always clear. The condition is more common among women than men. It occurs most often in individuals between the ages of 40 and 60 years old. Trigger Finger and Trigger Thumb develop more frequently in people with certain medical conditions, such as diabetes, rheumatoid arthritis, autoimmune disease, and gout. Additionally, some individuals may be born with a nodule on their tendon. In some cases, repetitive gripping, such as holding tools, can cause the tendons to become irritated. The symptoms of Trigger Finger and Trigger Thumb usually begin with pain and discomfort at the base of the finger or thumb. You may also feel pain in the palm of your hand. The area may be swollen and you may feel a small lump. You will have difficulty bending and straightening your fingers or thumb. It may feel like they catch or get stuck when you try to move them. The stiffness and catching may be worse when you first wake up in the morning or after periods of inactivity. Your fingers or thumb may loosen up with movement. Your pain may increase when your finger or thumb becomes free. In severe cases, the fingers or thumb can become stuck and unable to move. 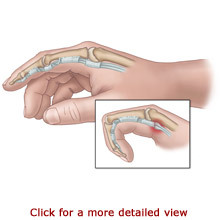 Your doctor can diagnose Trigger Finger or Trigger Thumb by examining your hand. Your doctor will ask you about your symptoms and level of pain. Your doctor will feel for any clicking or popping during movement and note any restricted movement. A locked finger or thumb typically leads to diagnoses of Trigger Finger or Trigger Thumb. For people with mild symptoms, rest and pain relief may relieve symptoms. Your doctor may recommend that you wear a splint for support and to promote healing. Your doctor may suggest over-the-counter pain medication to reduce discomfort and swelling. 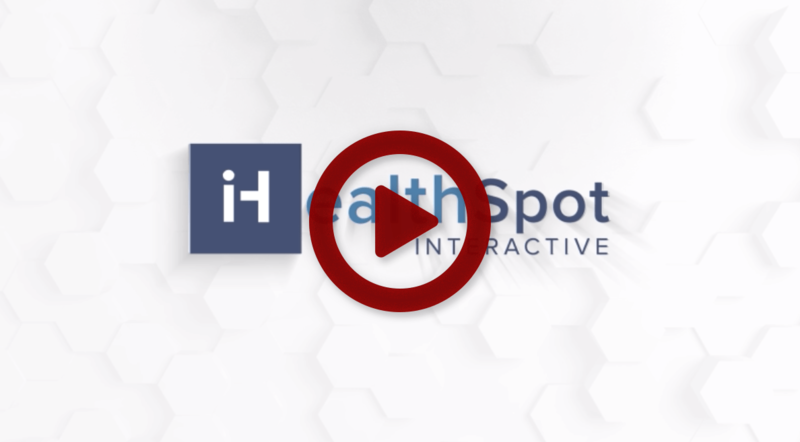 In some cases, physicians choose to inject an anti-inflammatory cortisone medication into the site. Surgery is recommended when other treatments have failed or if the thumb or finger is stuck in a bent position. There are a couple of surgical options, and your doctor will help you decide which is best for you. One surgery is performed on an outpatient basis. Your surgeon will numb the area and make a small opening on the palm side of your hand. Your surgeon will make an incision in the tendon sheath. This will create a larger tunnel for the tendons to fit through and enable them to glide easily. Another option is a procedure that can take place in your doctor’s office. In some cases, the tendon sheath can be safely opened with the tip of a needle. This will also create a larger tunnel for your tendons to move through with ease. Recovery is individualized and dependent on the extent of the condition and the type of surgery performed. Your doctor will be able to tell you what to expect. You will be able to move your fingers or thumb immediately following surgery. You may experience discomfort or swelling for a short period. A few individuals may require hand therapy to help regain movement, but most people achieve a full recovery in just a few weeks.